Thread by @gregolear: "Let’s talk about Julian Assange. 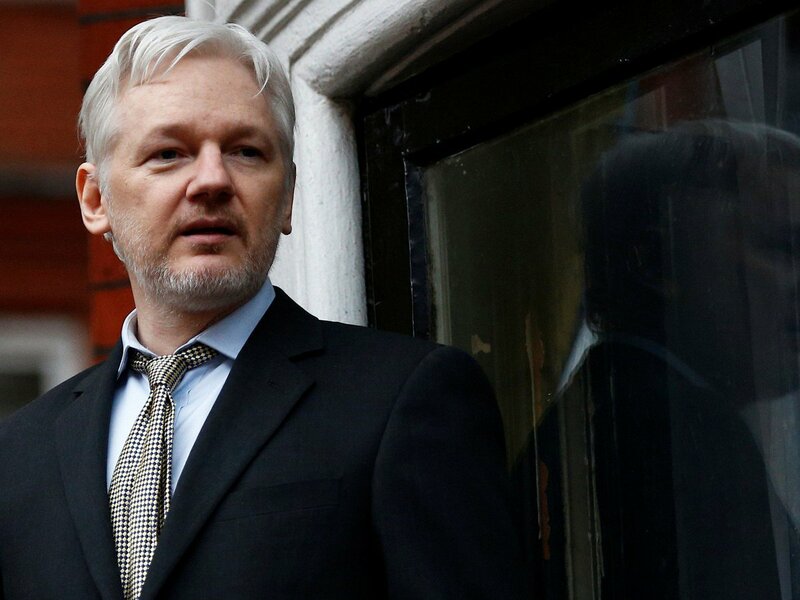 [THREAD] 1/ Whatever legitimate journalism Assange’s Wikileaks may've done previously, by 2016, he was an a […]"
1/ Whatever legitimate journalism Assange’s Wikileaks may've done previously, by 2016, he was an asset of Russian intelligence. The coordinated released of stolen Podesta emails an hour after the Access Hollywood tape dropped was not journalism; it was an act of cyber warfare. 2/ In general, the indiscriminate dumping of sensitive documents stolen by hackers is also not journalism. This is something the Bolsheviks did with Romanov papers after the Revolution, BTW. It was done to sow chaos. 3/ Assange was intimately connected with Edward Snowden's defection to Russia. He helped a traitorous spy escape, and he helped implement a propaganda campaign to present that spy as a First Amendment hero. 4/ Assange sought asylum at the Ecuadorian embassy because he was wanted in Sweden for sexual assault. A guiltless man might demand his day in court, so that he would be exonerated. Assange fled the country & hid out in an embassy basement. You know, like an innocent man would. 5/ Remember some years ago, when we on the left falsely believed Assange was the cat’s meow, and Obama did not? Yeah, Obama had intel we didn’t have. He knew what Assange really was: an opportunistic fame whore & chaos agent with unseemly ties to the FSB. 6/ Recent visitors to Assange include: Nigel Farage, Roger Stone, and Sean Hannity. 8/ Hannity is one of three clients of Michael Cohen, who reportedly met for over 40 hours w/the Mueller team, and was also supposedly in front of the Grand Jury this past week. 9/ Wikileaks DM’d with Donald Trump, Jr. during the campaign. 10/ Wikileaks is “Organization 1” in the Mueller indictment against the 12 Russian hackers. So we know Assange is on his radar. 11/ And now Assange, we find out, is under sealed indictment. Assange, who coordinated w/Junior & Stone and possibly Hannity during the campaign. In short: no matter how many anarchists sing his praises, or how many ex-Baywatch babes he boinks, Assange is what Mike Pompeo said he was: head of a non-state hostile intelligence service aligned with Putin's Russia. Let's talk about Rand Paul, the "libertarian" senator from Kentucky. Is he really working for Vladimir Putin, as the late John McCain famously charged? All signs point to "da." 1/ Here, as the indispensable @JuliaDavisNews points out, is Rand Paul being feted on Russian state TV for agreeing with Trump's asinine decision to withdraw immediately from Syria, per the request by Putin/Erdogan. 2/ Since the day in March 2017 when John McCain called him out ON THE FLOOR OF THE US SENATE for objecting to Montenegro joining NATO, Rand Paul has been a veritable lobbyist for the Kremlin. On matters large and small, Paul has supported Moscow’s positions. When the Russian mob installs one of their owned lackeys in the White House, what did you think was going to happen? 1/ What’s ironic is, if Trump were a king, as he’d surely like to be, he’d be gone by now. If he were a Roman Emperor, the Praetorian Guard would have ousted him after Helsinki. The Romans had no use for traitors. Why do we? 2/ The plot twist that I didn’t see coming in '16 is that Semion Mogilevich & Vladimir Putin didn’t just stop with the Executive branch. They also pwn enough Congressmen to keep the Saboteur-in-Chief in the Oval. Ryan & McConnell, Nunes, Graham, Rand Paul: too many collaborators! "Regular followers of WikiLeaks-related news are at this point familiar with the multiple serious infractions of journalistic ethics by @lukeharding1968 and the #Guardian, especially (though not exclusively) when it comes to Julian #Assange and #WikiLeaks." "However, another individual at the heart of this matter is far less familiar to the public. That man is @VillaFernando_, a prominent Ecuadorian political activist and journalist, director of the USAID-funded NGO Fundamedios and editor of online publication FocusEcuador." Documents on the secret process used to give #Assange Ecuadorian citizenship will be available soon, and should address allegations of irregularities in the process. Politicians in Ecuador are moving to strip #Assange of his citizenship. Senior officials have also confirmed his attempted appointment to a diplomatic post in Moscow. And we may still see those documents soon. #InterestingTimes. Pop over to @razhael's TL for more on this and some related issues.